Another week in the books! Is it ridiculous that I'm still boring you with our weekly activities??? No?!? Ok, then, perfect!! Last Monday, I had to take an online CPR/First Aid class for my new job at the YMCA. 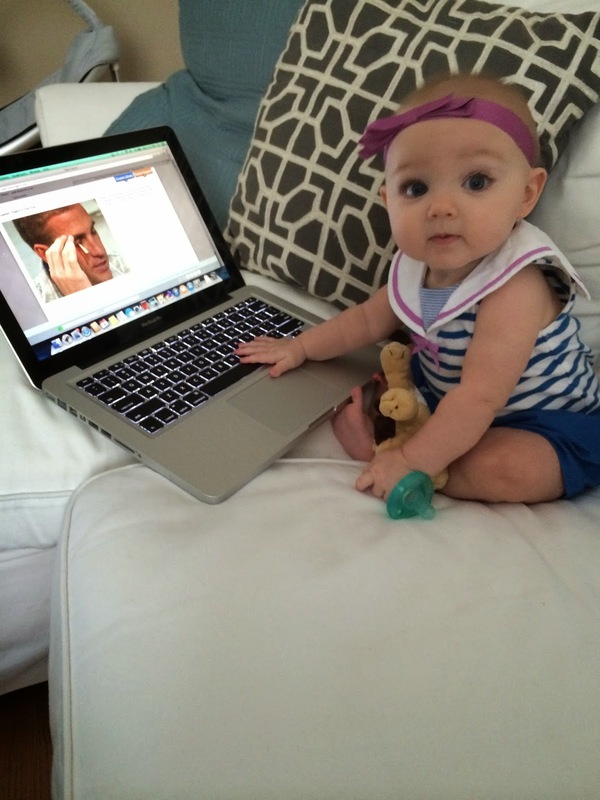 Ella was kind enough to help me. She didn't even get grossed out by what was on the screen...don't look too close! Tuesday was my first experience buying something off of one of those Facebook garage sales. I got this table for only $10! Ella also helped me with her laundry...and we realized that, once again, her closet is completely full and I can no longer push the clothes apart. 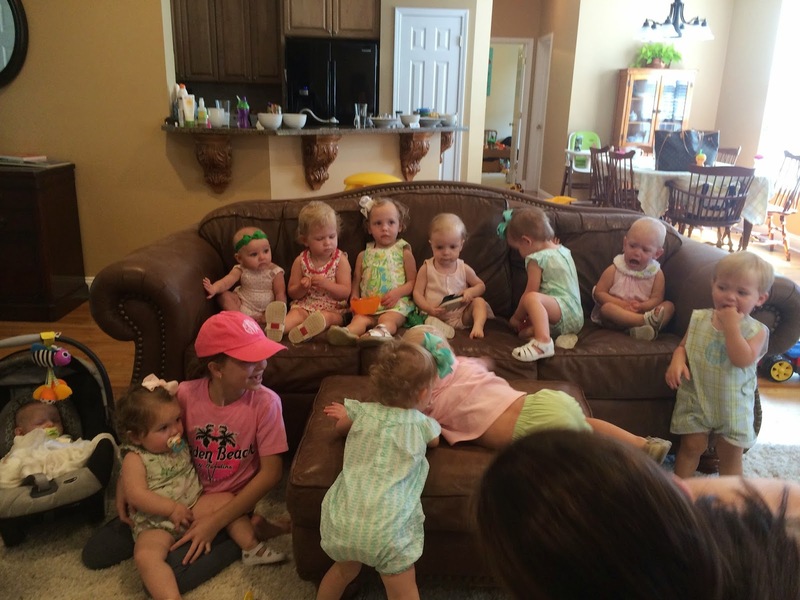 We also went to our play group. In a moment of insanity, we decided to take a picture of all the kids. It was quite comical, as all but 4 of them were crying/screaming/doing flips off the couch. 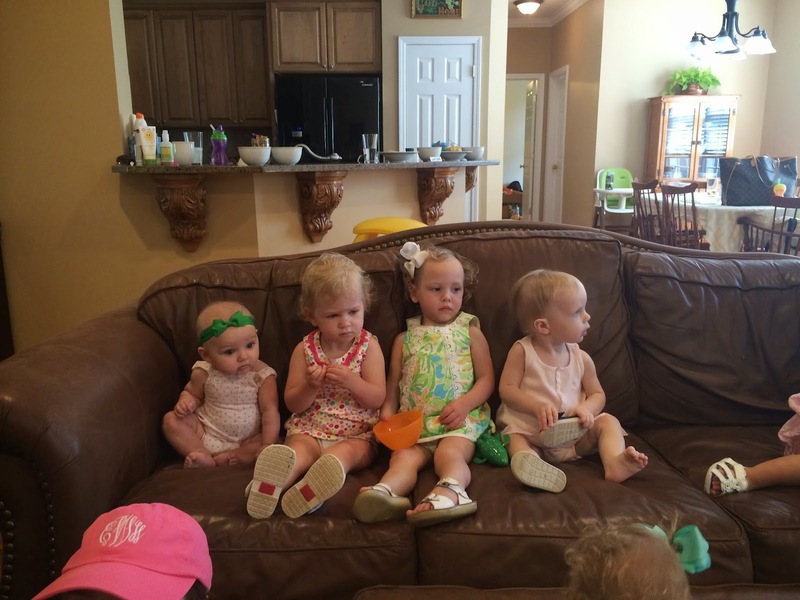 But these 4 little ladies were just hanging out on the couch, staring at everyone like "What the hell is wrong with you guys?!" 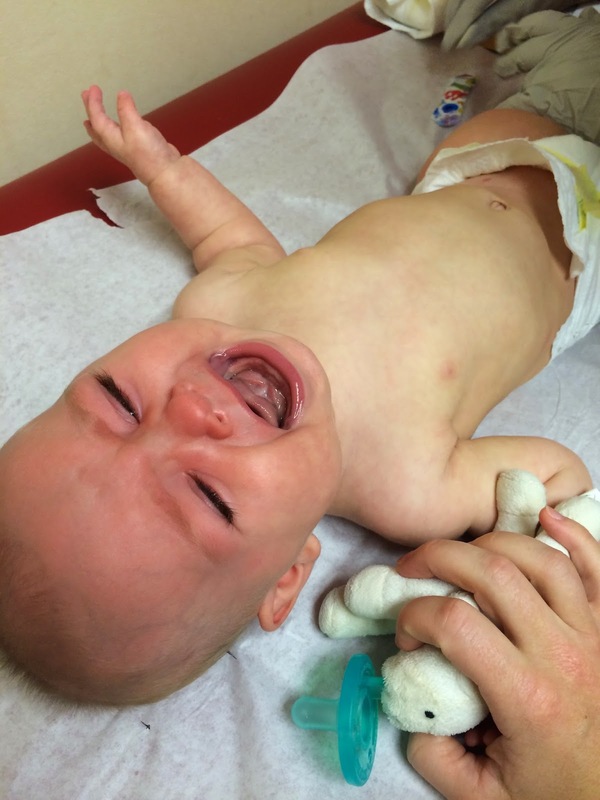 Thursday was Ella's 6 month check up. 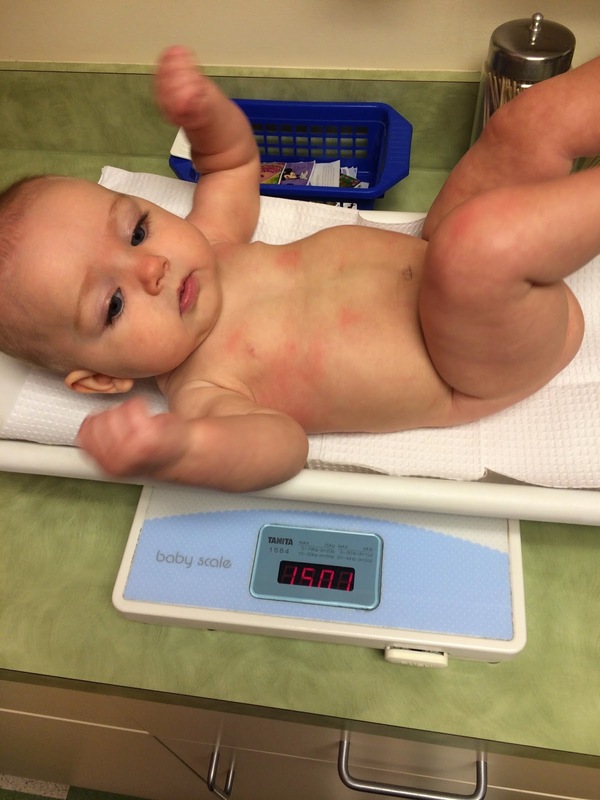 She weighs 15 pounds, 1 ounce; and they actually had to measure her twice because the first time she scrunched herself up and was almost the same length as she was at 3 months. She also got a bunch of shots, which she hated, naturally. 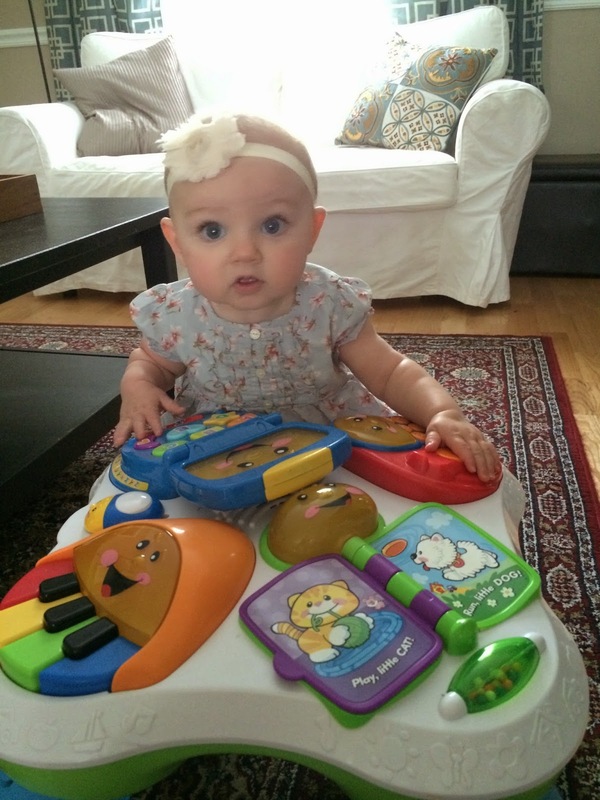 But she bounced back quickly, and this was her that afternoon--yes, sitting up in the Rock n' Play. She was not the biggest fan, but has come to like them a bit more since then. 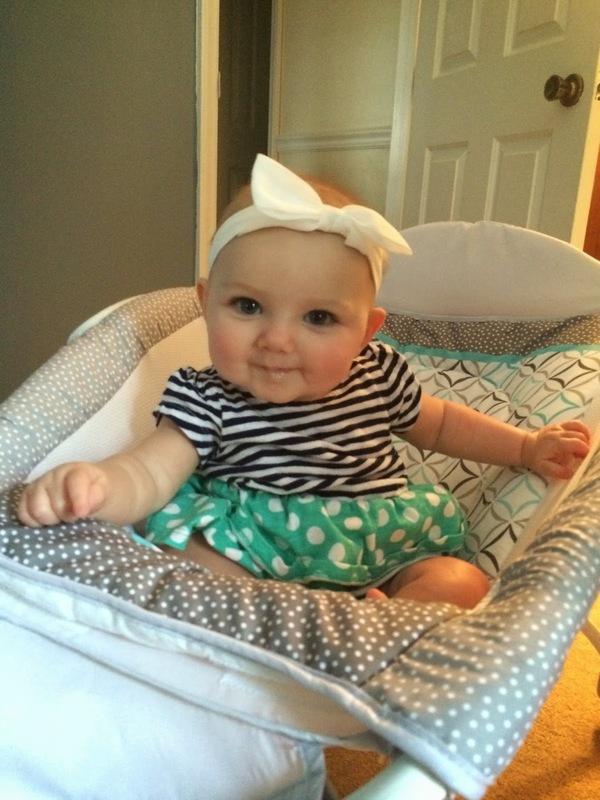 We also talked to the pediatrician about how to get Ella to nap better. 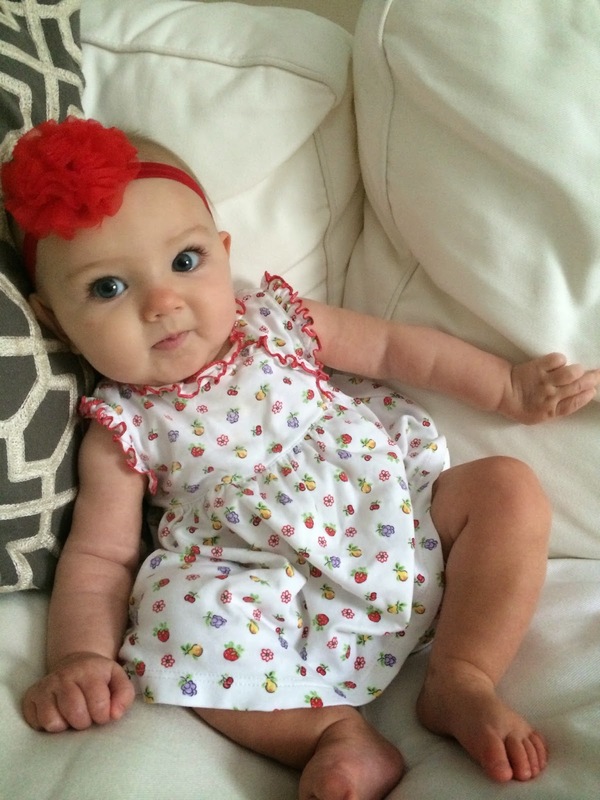 We tried a few of her tips on Friday (I figured Thursday was a lost cause because we were already off schedule, plus Ella was not exactly her usual self from the shots), and Ella slept for a whole two and a half hours!!! Now, that hasn't happened since then, but we are still consistently attempting naps every day in her crib...so hopefully she gets on board soon! Today she only slept for an hour, but hey, that's better than the 15 minutes we were doing before! 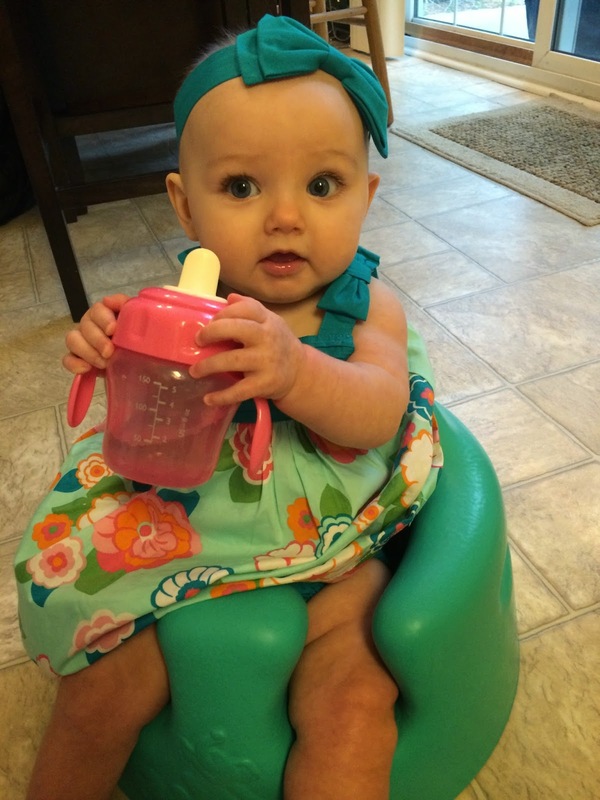 Saturday morning, we decided to introduce a sippy cup of water, per our pediatrician's recommendation! She's still a little unsure of what to do with it, but she definitely likes it! I spent my Saturday morning at 2 consignment sales...tis the season! I got all of this for under $30! That Healthy Sleep Habits, Happy Child book was actually recommended to us by our pediatrician, so I was super excited to find it for only $5! And doesn't that dress on the right look like Lilly?! It's not, but it was only $1!!! 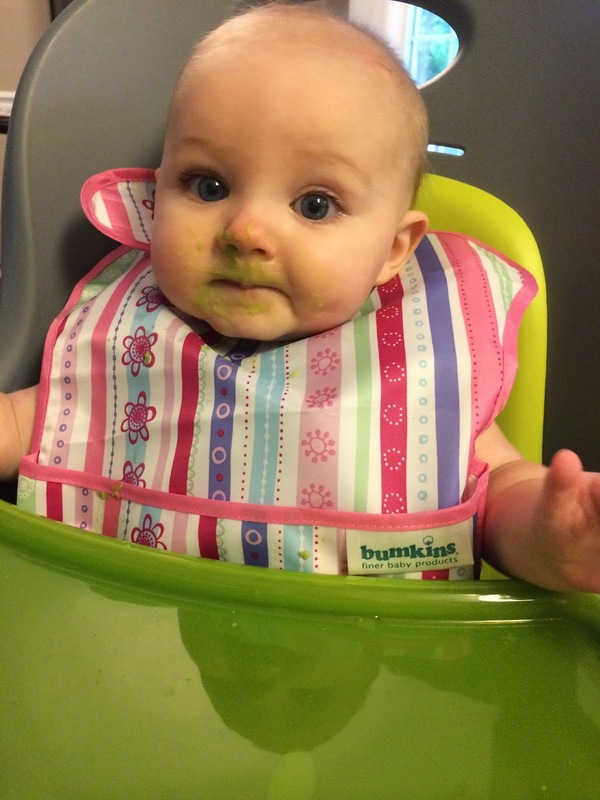 Saturday afternoon, we tried Ella's second new food, avocados! Trav was also eating some on top of his sandwich, and it was so cute to see both of them, eating their avocados and watching golf. Twinsies! Saturday night, we went over to our friends' for dinner. Ella, not having the killer nap she had on Friday, was exceptionally fussy and did not want to play with her boyfriend! Yesterday we started baby-proofing our house. Good Lord, is that stuff expensive!!! 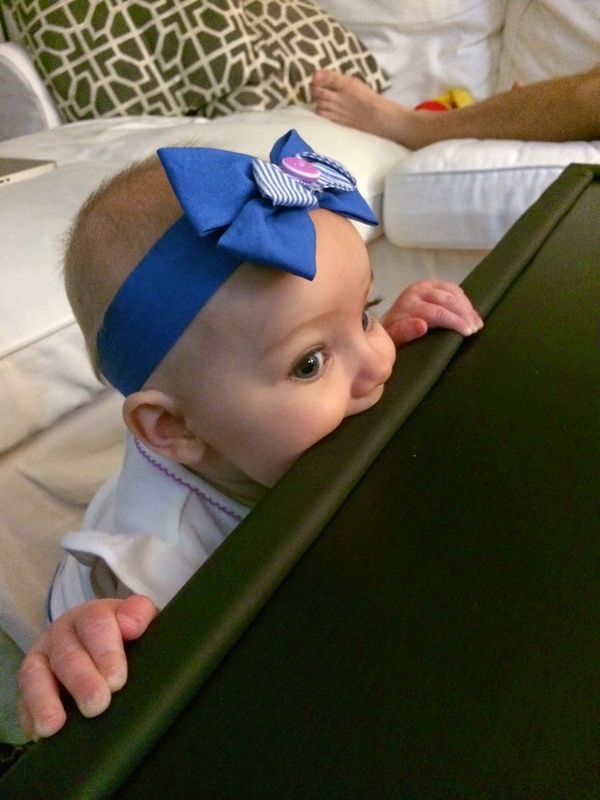 We put this padding on our coffee table, and immediately, someone decided it should also double as a teething toy. 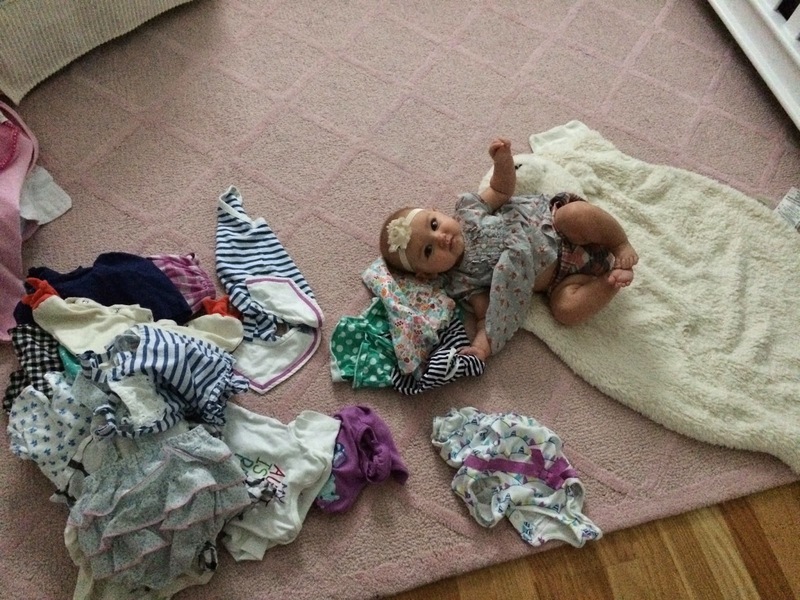 I love that in the same post you talk about Ella's closet being full, then going to a consignment sale to buy more clothes 4 days later. Haha oh Mindy!